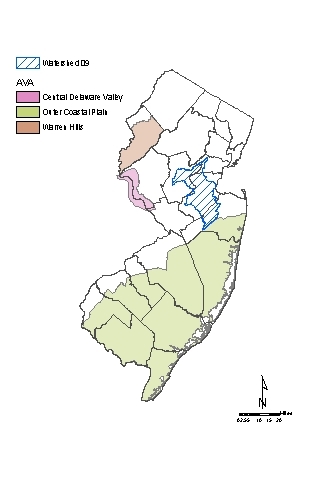 Lower Raritan, South River, and Lawrence. Located in east central New Jersey, within parts of Middlesex, Monmouth, Somerset, and Union counties. This WMA does not intersect with any AVA.